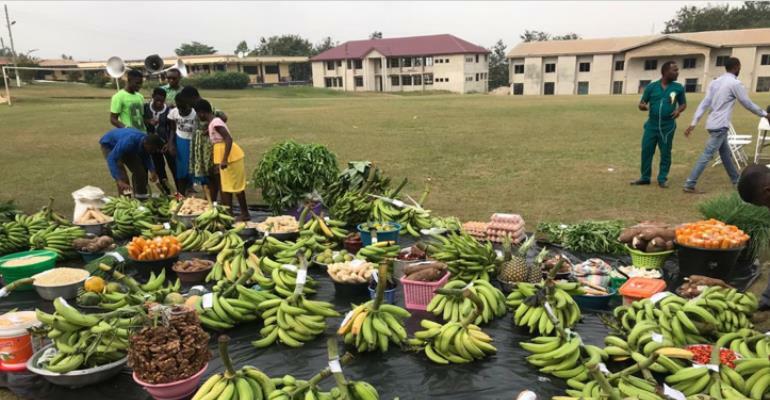 Some seed producers in the Upper West Region have lauded the government’s initiative of Planting for Food and Jobs programme geared towards improving the livelihoods of seed producers and farmers in general. They said the government, through the PFJ programme, had provided ready market for their seed in the 2017 and 2018 planting seasons and were hopeful that this would continue unabated. Mr. Martin Bondiyiri, a seed producer at the Nadowli/Kaleo District said in an interview in Wa that the Planting for Food and Jobs had helped them acquire fertilizer on credit and pay at the end of the season. “There is an MOU between us and the district Agric office and where we pick the fertilizer from and at the close of the season we harvest and we pay, that one is good for us and we are hoping that things will continue in that manner”, he explained. However, Mr. Boro Benjamin, a rice farmer and Chief Executive officer of Sung Suma Farms in the Upper West Region noted that rice production in the region was declining and attributed it to the difficulties associated with rice production. He said rice production was labour intensive and therefore entreated the government to provide rice harvesting equipment at the various Agric offices to provide service to person interesting in rice production. “If you are ready to harvest and you are not getting the labour to harvest much of it will be lost. We are using manpower, Upper West here I don’t think we have machinery for the harvesting and what I do is the women, one woman will use the knife to cut maybe a basin full for Gh₵10.00 or others Gh₵12.00. “if one combine harvester can be placed at the MoFA office and those of us who are interested in farming rice can go and rent it for a day or two to go and harvest your rice, I think rice production in the Upper West Region will go a long way to increase which is the main staple food most people eat here”, he explained. On his part, Mr. Tahiru Yahaya, a rice farmer noted that last year he farmed 24 acres of rice but regretted that all the 24 acres got burnt because he could not harvest them on time. The government began the implementation of the PFJ programme to provide subsidised farm inputs such as fertilizer and agrochemicals to farmers as part of his ambitions to improve the agricultural sector of the nation’s economy, however, mechanization services remained an impediment to the success of the programme.